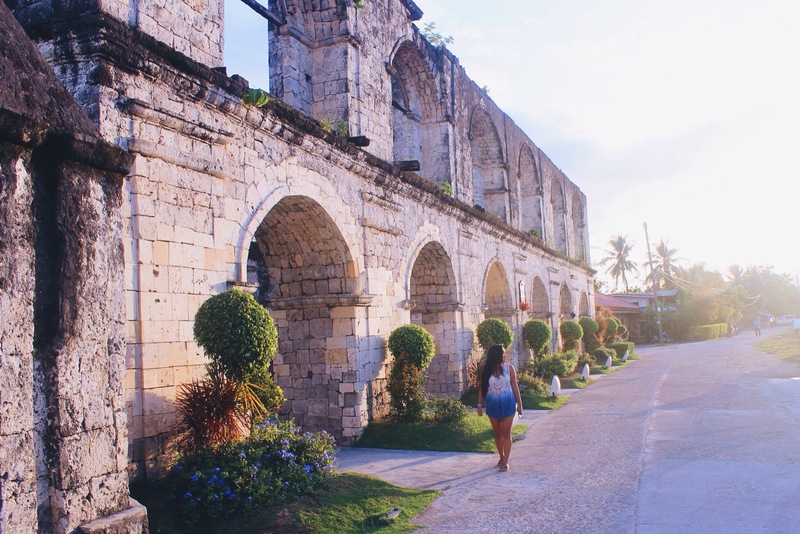 When in the southern part of Cebu, there are a few towns that shouldn’t be missed. Whether you’re in it for a long weekend getaway or a longer backpacking trip, these are the places you definitely must prioritize. The good news is that it’s quite easy to get around because the buses mostly go in one main road so you’ll be able to catch them just by waiting for them on the street. Another thing that I’d like to remind you is that in order to enjoy the southern part of Cebu at its fullest, one must be a sucker for adventure. It’s not entirely the place to lay out sipping Mai Tais all day. It’s a place to EXPLORE. So let’s, shall we?! Possibly the most famous/infamous for its controversial whale shark activity, I honestly think Oslob offers so much more than that. I went to Oslob twice in 2015 and I loved every bit of it. The people! The atmosphere! The lack of extreme backpacker parties! The mayor prohibited bars here so you wouldn’t see drunk travelers stumbling to get to places. That’s not to say that drinking isn’t allowed because drinks are easily obtainable everywhere! Obviously, people come here for the sole purpose of swimming with the whale sharks. There is a controversy regarding this, but I’ll leave it up to you to decide whether if it is for you or not. I enjoyed both times I did it, but I will be honest with you and say that it’s quite touristy and well, it’s not a very authentic experience. But to get to swim with these gentle giants and to be near them was amazing enough! If you’re into history, there’s a museum and few historical structures by the town center. They’re lovely, so I would recommend stopping by there in the late afternoon, and then walk to the town center for some good ole’ street BBQ. Oslob is also the jump off point for Sumilon Island. This is actually a private resort but you can go behind the island where there’s a sand bar. It’s nice, especially if you just want to bum around in a nice beach, since there isn’t much in Oslob. Although, I did find a little hidden beach called Tan-awan Beach and it’s such a precious find that I’ll write about it another time. Finally, I highly suggest checking out Tumalog Falls. It’s my favorite falls so far, and though it’s not grand with a conventional cascade, it’s such a unique natural site. Magnificent is an understatement. It somehow reminds me of the movie Avatar for some reason. Try to avoid the weekend to get the place all to yourself. But if that’s not possible, go early in the morning! Now I apologize for my lack of knowledge but I’m not really sure which town is which. All I know is that it has Matutinao river where one of the funnest activity I’ve done is located. I was actually intimidated by the idea of canyoneering but I can wholeheartedly say that it was such an amazing experience. Advertised as a three-hour trek, it actually depends on the speed of your group or how much you stop for breaks. You’re trekking in at least 80% water, so most of the time you’re swimming and floating around. To complete the trek, you’re required to jump off at least five waterfalls (which also included a fun waterfall slide! ), maneuver your way through rocky terrains, and climb rocky boulders. 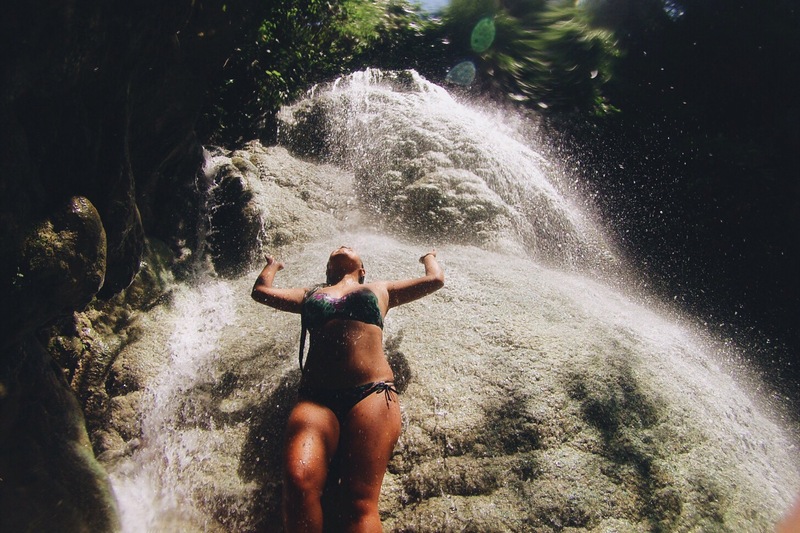 At the end of the trek, you’ll finally reach the bluest waterfalls you’ll ever swim in– Kawasan Falls! You know that indescribable beauty that you witness that it feels almost useless to attempt articulating it? That’s exactly how I feel about Kawasan Falls. If you’re not into the idea of canyoneering (boo! 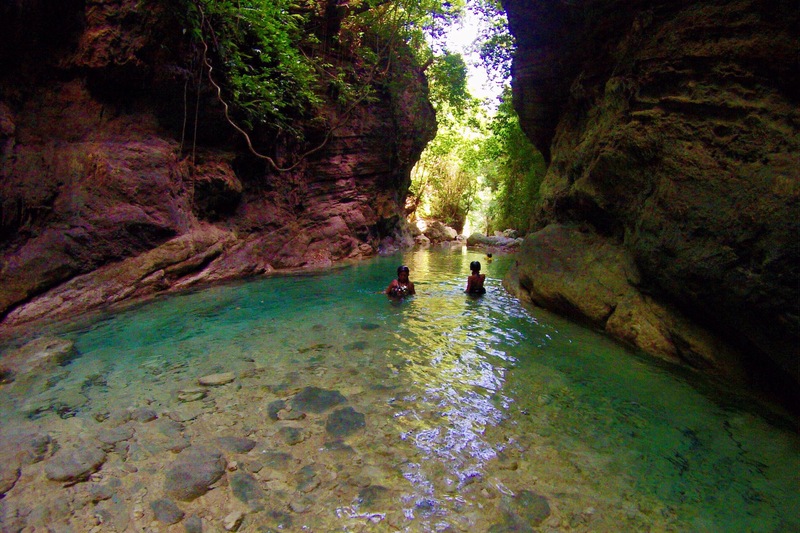 ), don’t worry, you can still bathe in Kawasan Falls without having to go through it! 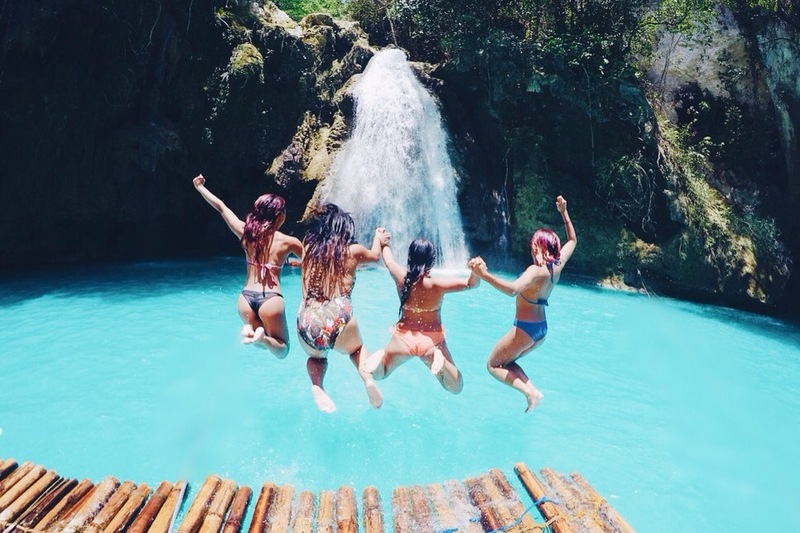 Once a secret spot to Cebuano locals, people come here for one main reason: CHASING WATERFALLS! I’ve only managed to visit two, but there’s more than that! 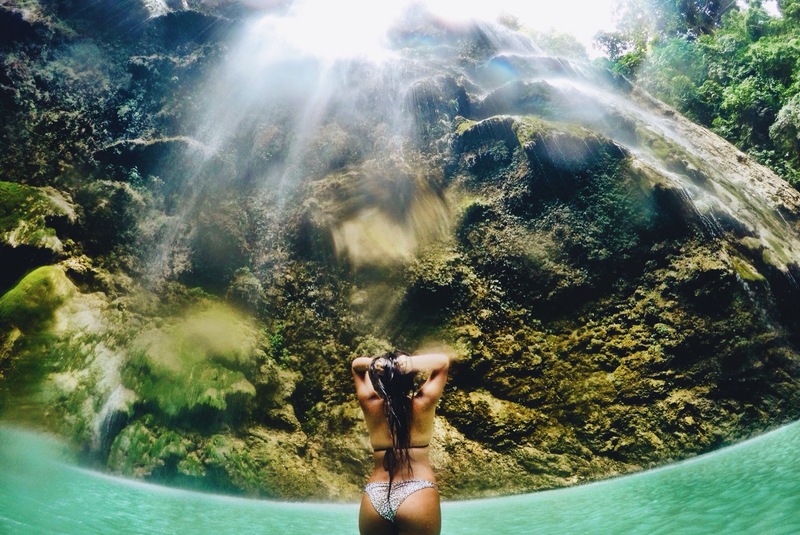 The most popular one is Aguinid Falls, which is a five-tiered waterfall that requires a bit of climbing. It’s gorgeous, especially if you catch it early enough before the water gets cloudy from the people coming in. I did this right before canyoneering in Badian which is a nice little preview of what it might be like. I suggest doing that to get a little feel of canyoneering! I was also able to drop by the Hidden Falls, which wasn’t too far from Aguinid. It’s called Hidden Falls because it’s formed in a cave like end. There’s different heights that you can jump off as well to make all the chasing even more fun! But do that at your own risk. 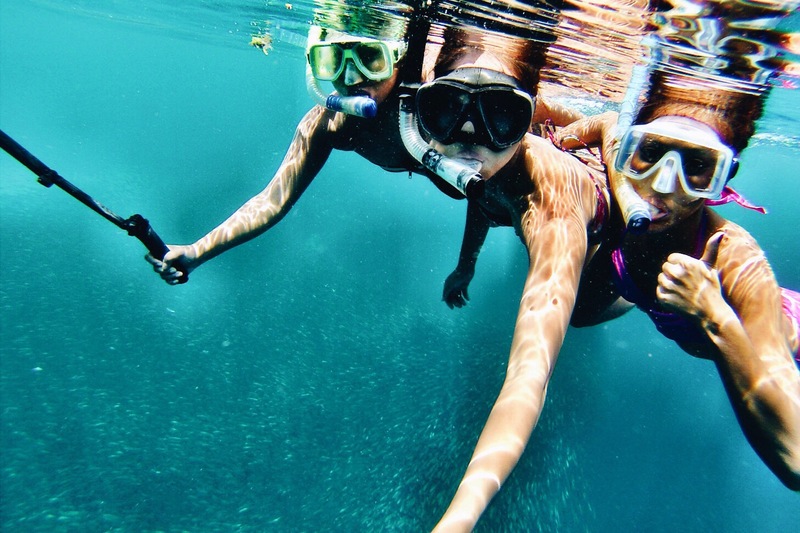 People come here for one reason, and one reason only: UNDERWATER PARTY! Dubbed as one of the world’s best diving spots, Moalboal would be pretty hard to top. Well, at least according to world travelers and divers that I’ve spoken to. I haven’t scuba dived yet, but I was able to snorkel here. I do regret not scuba diving though. From the looks of it behind the lenses of my snorkel, it does look like it’s going to be amazing down under! Colorful fish and corals are one thing, but snorkeling with tens of thousands of sardines was another epic experience I’ll never forget! I’m telling you right now, you must not miss Moalboal! Amazing experiences! 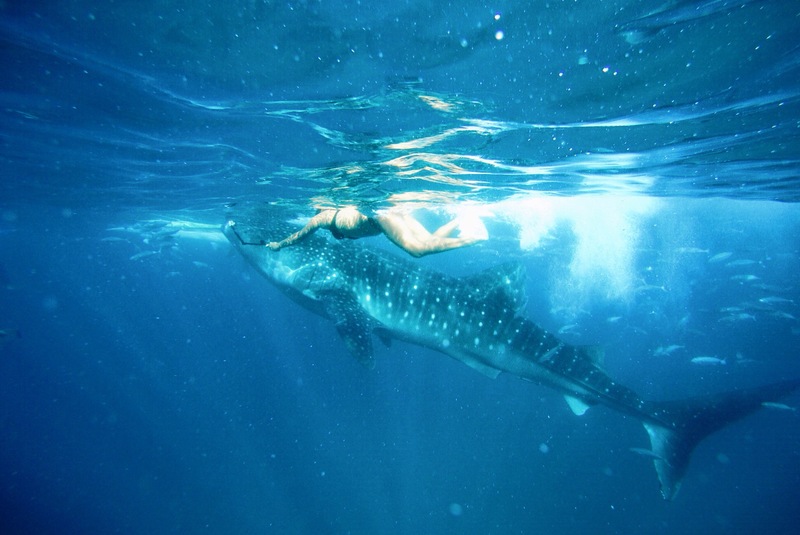 How long did you swim with the whale sharks? I have always been interested in that. What about the controversy? Are they dangerous? I’ve only been to the northern part of Cebu and not much on the southern part. 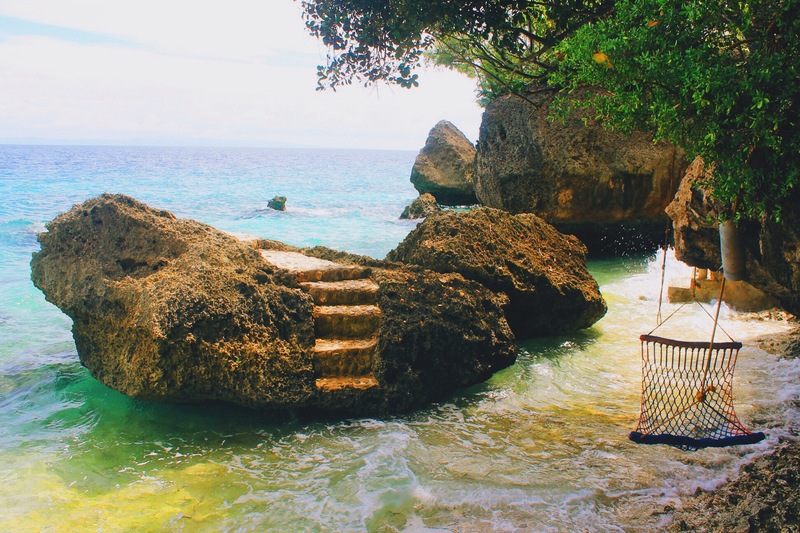 I would love to visit Oslob as well. Great photos you have here. Lovely places indeed. I’d love to try and swim with the whale sharks in Oslob. I’ve heard so much about it. But also, the other places in Oslob are just as lovely. Alegria and Moalboal are very nice too. ive been to Cebu, but i haven’t been to those places. Maybe because I was not there for vacation. Oh well! </3 Maybe someday. I like to try canyoneering in Cebu. I would love to bond with the whale shark in Oslob. The place looks incredible. My fav of this list is definitely Oslob with all the heritage buildings & beach. Would love to visit your part of the world soon!!! These are all something that I have yet to experience. I’ve been to Cebu several times, mostly for work so I am always in the city. I took down notes from your post and hopefully next time, I’ll be in one of these towns. Gorgeous photos, btw. I’d love to go to Samboan. Waterfalls are soo beautiful, the cascading flow of water, the cold temperature, just the beauty of it all. Definitely putting this on my list when we eventually go chasing waterfalls. This looks amazing, especially the rock with staircase embedded on them. I am particularly interested in exploring the islands in Phillipines! Great post, as always! This article makes me want to drop what I’m doing and just head back to my beautiful Philippines! I only visited 6 islands, and Negros was the farthest, so haven’t been to Cebu, Queen City of the South. I’m really glad you enjoyed your trips in PH, and take home amazing photos. It’s good to hear about more than just swimming with whale sharks! Like you I’m not sure I particularly agree with the ethics but still sounds like an amazing experience nonetheless. What a place for waterfalls though, looks like you had a blast, and well done for biting the bullet and doing the canyoning!! Think I’d be a bit unsure too, but definitely worth it! Thanks for sharing these new little gems! WOW! Oslob looks like a place I would want to visit with my girlfriends. I am sure you had a great time. Heading there next week and these places are definitely on my bucket list! ❤ .